“I think I was one of the first people to raise the issue of amnesty about five years ago, I know how much we were vilified,” he said. Bishop Matthew Kukah, the fiery Catholic Bishop of Sokoto Diocese, has supported the decision of President Muhammadu Buhari to grant amnesty to repentant members of the Boko Haram. Bishop Kukah revealed his position while appearing as a guest on Channels Television’s Hard Copy in Abuja, the nation’s capital. On March 23, President Muhammadu Buhari unveiled that government was willing to offer amnesty to members of the outlawed group. He had noted that while further efforts were ongoing to secure the release of every citizen abducted by the insurgents, government was ready to accept the unconditional laying down of arms by any member of the group who showed strong commitment in that regard. 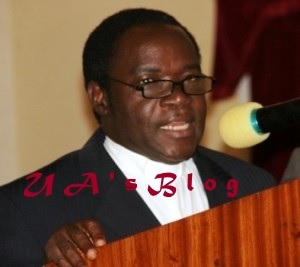 Kukah, on his part, lauded the decision, saying amnesty was the way to go as no war has ended with victory being declared. Evaluating the war against corruption, the clergyman said: “Corruption is not something that government fights, government might offer a lead, but it will get you to nowhere unless you have the buy-in of the people,” Kukah told ChannelsTV.